Hybrid cars are the industry’s original solution to the problem of growing emissions – the combination of an electric motor and combustion engine which work together to move the car more efficiently. With both hybrid and fully electric cars becoming ever more common – and interestingly, 54% of our recent driver survey respondents said that they would consider purchasing a hybrid/electric vehicle – we’ve put together an explanation of just how hybrid cars work, so you can understand one of the most important technologies present in modern cars. A hybrid car refers to one that has a petrol engine and an electric motor, as well as an inbuilt battery pack to provide the motor with charge. 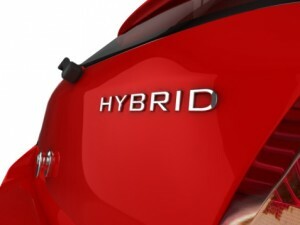 Hybrid systems come in two main variations. Some, such as the Toyota Prius, are capable of running on the electric motor only, petrol engine only or both engines combined. Others, such as the Holden Volt, use only the electric motor to drive the wheels, with the petrol engine acting as a generator to charge the battery. Most hybrid cars can also be plugged in to the mains to charge the battery – though you’ll want to find a quick-charging station with high-voltage output. Otherwise, charging from a household outlet usually takes several hours. Hybrids combine the efficiency and low running costs of an electric motor with the range, power and convenience of a traditional petrol motor. Models which use both motors to drive the wheels will often only use the petrol motor under heavier loads, such as accelerating and climbing hills; cruising around town and decelerating is purely electric, resulting in much less fuel being used over a combined cycle. For instance, Toyota claims that the Prius uses up to 50% less fuel than a similarly sized petrol vehicle. So what are the downsides of such great technology? The most obvious one is cost: hybrids often cost tens of thousands more than a similarly-sized car with a conventional engine, most of which is down to the cost of the batteries – even the most advanced battery technology still requires precious metals which, in large quantities, add up to a hefty cost. Hybrids also aren’t exactly known for their performance – with the exception of exclusive hypercars like the McLaren P1, hybrids have pretty much become synonymous with dull, economical driving at the expense of speed or handling that will change over time though, is watch this space. And if you’re looking for which cars New Zealand consumers like the most, check out our new car satisfaction ratings. 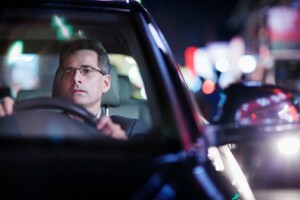 Car hit & runs: have you been a victim?